They're an excellent supplier for windows and doors. Their pricing is fair, they're prompt, and they're efficient. They did a spectacular job. They were very customer service-oriented and personable. The quality of their product is top-of-the-line. They're great. They showed us several options and walked us through everything. After initially reaching out to them, they came out the very next day to get things moving along. They finished the job on time, and they cleaned up very well. It was fair price for a good job, Very reliable workers and good quality. I guess the good customer service. They were responsive and followed through on what they said they were going to do. 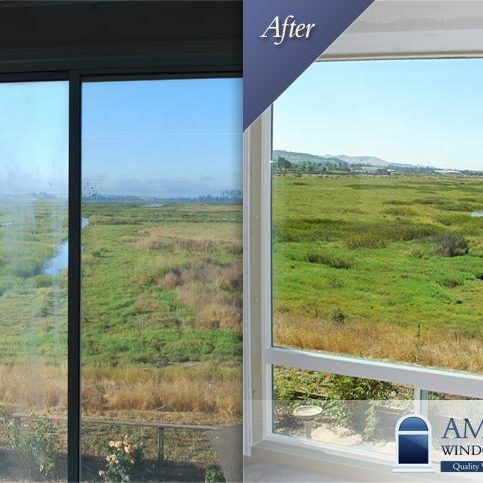 American Window Systems, Inc. provides and installs energy-efficient replacement windows and doors for residential and commercial clients in Napa, Solano, Contra Costa, Sonoma, and Marin Counties. The family-owned and operated company is an authorized dealer for Simonton, Cascade, PlyGem, WeatherShield, Kolbe, Western Window Systems, Simpson Door Company and several other leading manufacturers. It can complete most installation jobs in one day, and it supplements its work with various warranties, including those that cover glass breakage and screen tear. 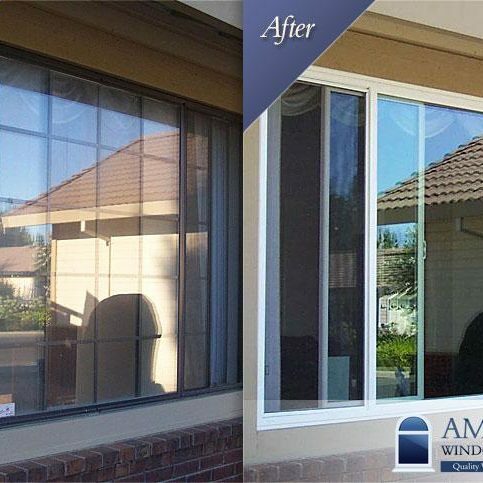 DIAMOND CERTIFIED RESEARCHED CAPABILITIES ON American Window Systems, Inc.
Company Name: American Window Systems, Inc.
DIAMOND CERTIFIED RESEARCHED ARTICLES ON American Window Systems, Inc.
Vinyl frames are typically the least expensive and virtually maintenance-free. They’re only available in light colors, though, because dark colors absorb too much heat from the sun and warp the frame. A popular choice for aesthetic reasons, wood frames are typically only a little more expensive than vinyl, but they require diligent maintenance in order to prevent rot. They’re available in many species of wood and can be stained to match any existing décor. Fiberglass frames are more expensive than wood or vinyl, but they’re also more durable. They require virtually no maintenance and can be painted any color (faux wood grains are also available). 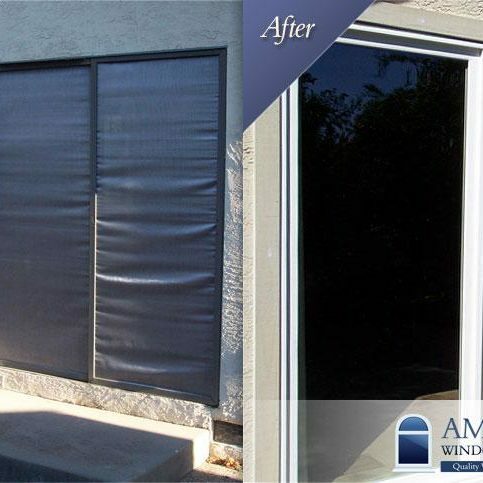 Aluminum frames are typically the most expensive, but they’re also maintenance-free and can take almost any color. They may not be suitable for coastal environments where saltwater is a concern. These are traditional units in many homes across the United States, and they’re especially common in pre-war buildings. With double-hung windows, the bottoms slide up to open the units. They can be efficient choices, but they also have the potential to allow air intrusion between the sliders. Popular in climates where wind is an issue, casements actually seal themselves off tighter when wind blows in toward the house. They require maintenance on hinges and seals to ensure their continued stability and efficiency. Don’t overlook the importance of proper installation. Even the most expensive window unit won’t perform effectively if it’s not installed correctly. Be wary of any contractor who relies too heavily on expanding foams or sealants to get a window to fit—these materials aren’t waterproof and can lead to problems down the road. Pre-installation waterproofing, often completed long before the windows are installed, is the best option. • U-factor is a measurement of the window’s rate of non-solar heat loss or gain. The lower the U-factor, the greater a window’s insulating value. • SHGC is the fraction of solar radiation admitted through a window or skylight. The lower a window’s SHGC, the greater its shading ability. • Visible light transmittance is the percentage of visible light that’s transmitted through glass. The higher the number, the more light the window admits. Q: What are some of the benefits of installing energy-efficient windows? A: Aside from the vast amounts of energy and money you’ll save, energy-efficient windows improve comfort; reduce condensation; decrease drape, carpet and furniture fading; and lower mechanical equipment costs. Q: How long will it take to install new windows in my home? 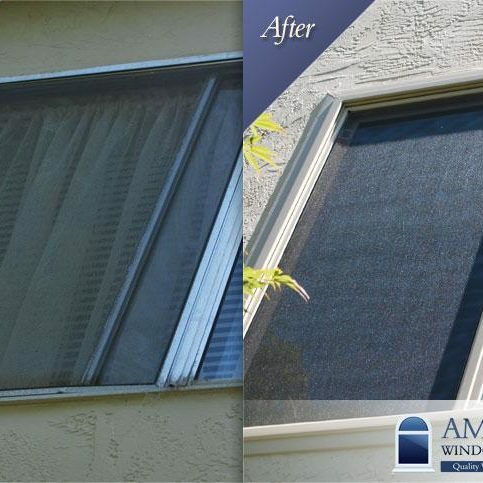 A: A typical home that has existing single-pane windows can usually be done in one day. Q: Who will install my windows? A: We employ our own full-time installers. We don’t use subcontractors, so if you have any problems with your installation, you deal directly with us. Q: What is low-E coating? 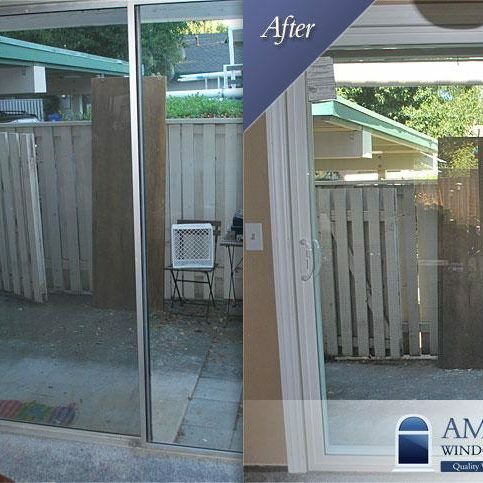 A: Low-E coating is a virtually invisible coating of metal and metallic oxides that’s applied to glass. Low-E coatings provide year-round savings by reflecting sunlight and keeping your home cooler in the summer and warmer in the winter. Q: Do you completely remove my old windows? A: No. 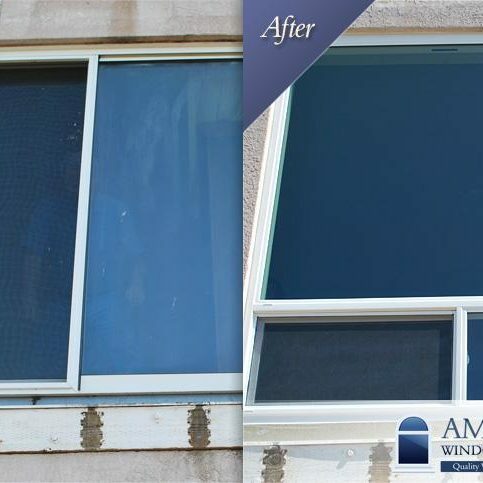 With replacement/retrofit windows, the outer perimeter frames of the old windows are left in place. The new replacement windows then fit over the top of the old frames and are sealed shut. By doing this, we ensure the exterior of your home isn’t damaged and there’s no patchwork to do on the stucco or wood siding. This can save thousands of dollars on the installation. Q: Why do some companies remove the frame completely? A: For a while, many companies were removing frames and installing replacement windows. 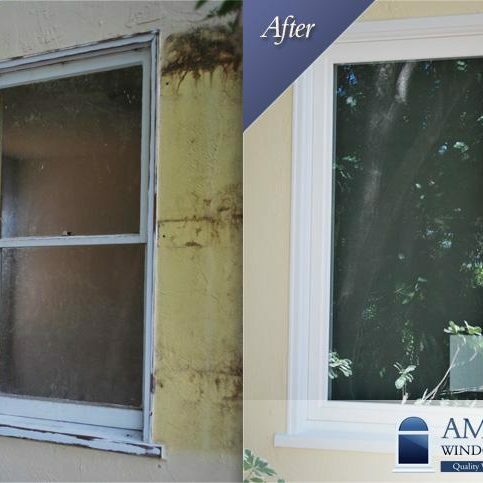 That’s a problematic practice, because instead of being sealed to the old window frame, the replacement window is sealed to the home’s exterior. Since stucco and other sidings aren’t completely waterproof, this creates problems with sealing the window and preventing leaks. Because of this, we don’t recommend removing the old frames when installing a replacement window. If your dealer or contractor suggests using this method, look to somebody else. Q: What kind of warranties do you offer? A: We offer a fully transferable five-year warranty on all our workmanship. In addition, all the products we carry offer lifetime manufacturers’ warranties on any defects. Our higher-quality windows, like Simonton, carry transferrable lifetime warranties. Q: Do I have any other installations options? A: Yes. We can also install ‘nail-on’ windows, which are found in most newly built homes. 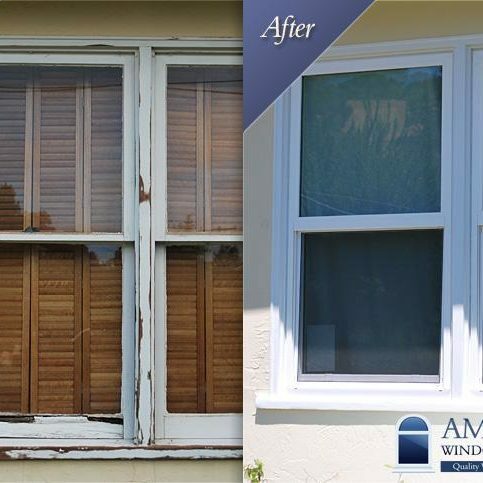 To remove the old windows and install nail-on windows, we cut back the exterior stucco or siding of the home; remove the old window; install the new window using nails, flashing and caulk; and patch up the stucco or siding. Since this installation process is much more labor intensive, it’s considerably more expensive. 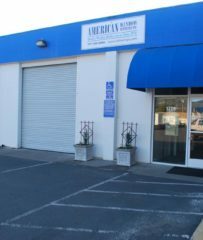 SELECTED PHOTOS FROM American Window Systems, Inc.
Kyle Unciano is sales manager at American Window Systems, Inc., a Diamond Certified company since 2010. He can be reached at (707) 879-8946 or by email. A: When I was 15, I worked at a pottery studio. I ended up basically running the place for the owner. A: Antique gumball machines. My grandfather started collecting them a while back and I kind of took over for him. NAPA — When it comes to replacing residential windows, there are two different methods in use: new construction and retrofit. With the new construction method, the windows and frames are completely removed and replaced, a process that requires disrupting sections of the home exterior. With the retrofit method, the window glass and other components are retrofitted into the existing frames, which allows the home exterior to remain undisturbed. The main factor to consider when choosing a replacement option is the character of your home exterior. For homes with wood siding exteriors, new construction can be a good option, as the new window frames will hide any imperfections caused by removing sections of the siding. For stucco homes, on the other hand, retrofitting is the best option. 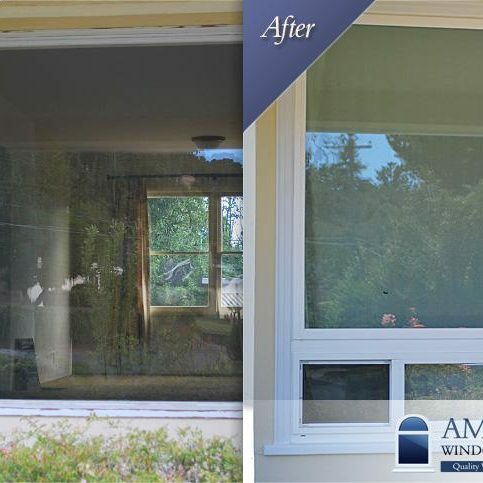 Installing new construction windows on a stucco house requires large sections of stucco to be removed around each window. After the windows are installed, these sections need to be patched with new stucco, and additional interior sheetrock work may also be necessary. Furthermore, since the new stucco wouldn’t match the existing stucco exterior, you’d likely need to repaint your entire house just to make it look right. 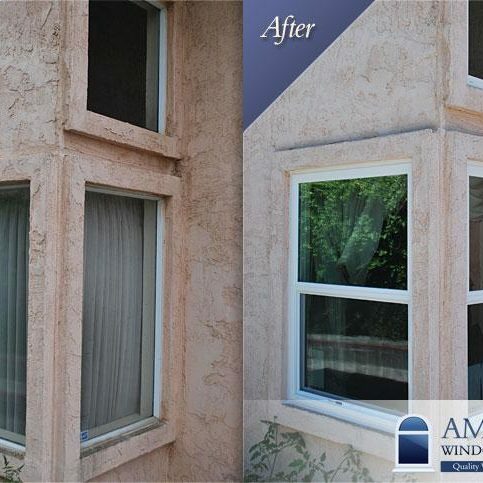 For these reasons, retrofitting is a much more practical and economical option for replacing windows in a stucco home. 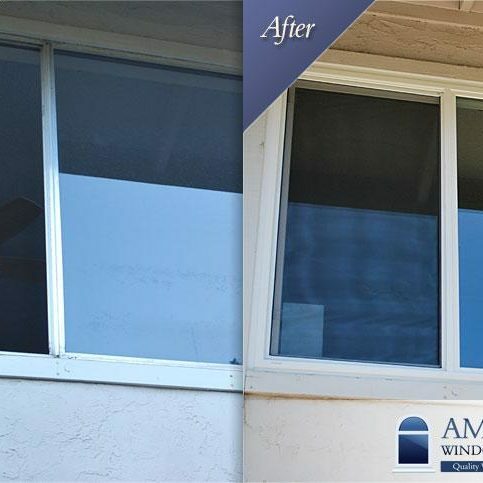 The only noticeable difference with a retrofit window is the loss of roughly one-quarter to one-half of an inch on the window’s width and height. However, that’s a small price to pay to avoid a lot of extra stucco, sheetrock and painting work. NAPA — Host, Sarah Rutan: Before having a window or door replaced in your home, there’s one potential safety concern you’ll need to address. To learn more, we’re with Michael Unciano of American Window Systems, speaking on behalf of Diamond Certified Expert Contributor Kyle Unciano. Michael Unciano: If you are looking to get windows and doors replaced in your house, and your home predates 1978, you might want to be concerned of the lead paint. It can be very harmful to you and your family in your residence. Should there be lead paint found, then there will be extra steps in order to remediate that. 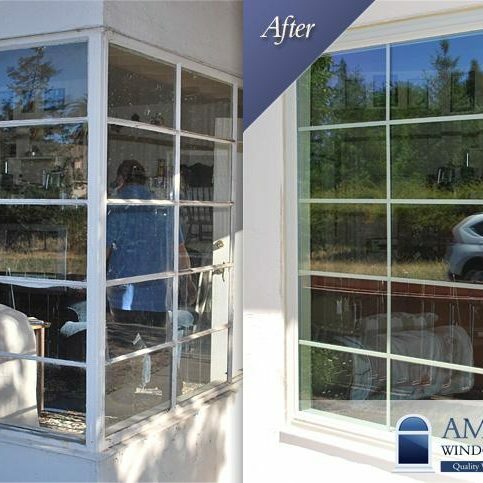 Diamond Certified RATINGS ON American Window Systems, Inc.
American Window Systems, Inc. : Average 9.3 out of 10 based on 250 unique customer surveys of customer satisfaction. Whenever we have a problem, there is never any problem getting a hold of somebody to come over and evaluate and find a solution and the quality of the windows is excellent. They were very helpful and they did a good job. Don't hesitate and go ahead and buy your windows from them. They did what they said they would do when they said they would do it. Just that they are very professional and they care what they are doing. They were here when they said they would be here and they did an excellent job. I am very pleased with them and they came in and they did a good job and they were clean and everything was fine. The product is very good and everything was just terrific. They were really concerned about getting it right and having a good outcome. Basically, the woman who came out was really personable and had all her stuff. The windows are high quality and they were professional installers. The windows are phenomenal and in addition to being professional, they were respectful of things in the house. They were on time, courteous and they kept the place clean and they did it in one day. That they were polite, and they were on time and they did what they said they were going to do and they showed up when they said they were going to show up. They know what they are doing, they are responsive, and I like the quality of the skylights and windows. They did it on time and they put them in when they said they were going to put them in. A couple of surprises popped up after they were done and they came right out and fixed it. They kept in total contact with me and we were on a timeline and it just didn't happen, but I did get apologies over and over. 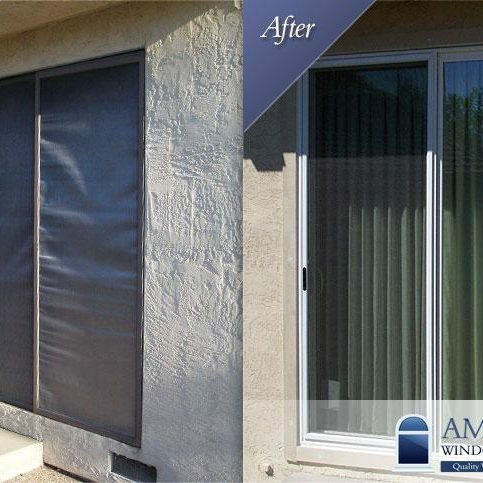 I really liked the quality of the windows and we had no hesitation with going with them. We enjoyed working with our sales woman and we also had someone help us engineer a particularly difficult window. Once you make the phone call, it was painless. They showed up when they said they were going to and they put them in and that was it. They were easy to work with and they showed up on time. They were timely, did an excellent job, and they were tidy about the work they did. They didn't leave any messes and they did a good job. The quality of the windows and the quality of the employees. They are like us and they are efficient and they are very thorough and very conscientious.